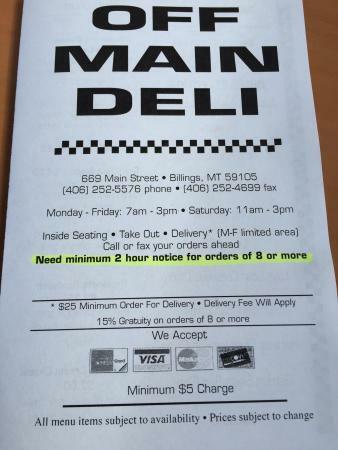 There aren't enough food, service, value or atmosphere ratings for Off Main Deli And Bakery, Montana yet. Be one of the first to write a review! Off Main Deli has the best Sammies soup and cookies. Just a small shop but they are friendly and fast. 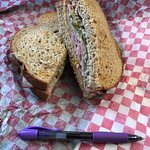 Lots of choices for your Sammie and two homemade soups each day they will deliver! Awesome deli, fresh and delicious! Great service. Great food, great prices. Can’t ask for much more then that! We discovered this little deli by accident through a coupon we had. It offers fresh samdwiches made to order. It is fine for vegetarians and vegans. You get a side dish with your sandwich and we always get their pasta salad; it's wonderful! Service was good and friendly. Place is clean. Good variety of meats, breads, cheese, etc. Plenty of parking. 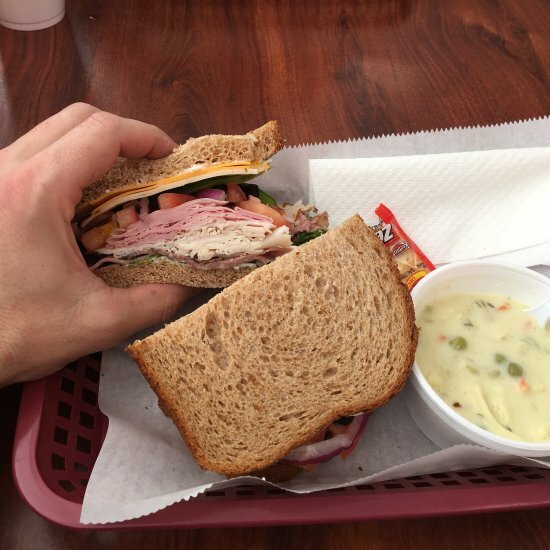 Sandwiches are very good and offer a good variety of toppings. 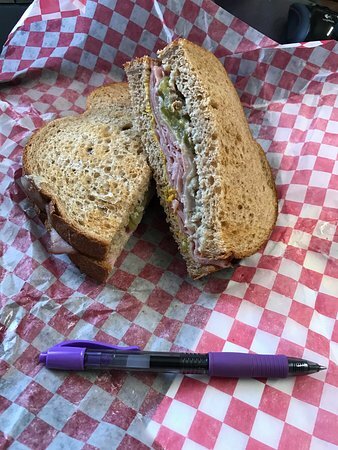 This place has some of the best sandwiches in town. The prices are very reasonable and you get a lot of food for the money. The cookies are also tasty. Worth the drive to the Heights. Get quick answers from Off Main Deli And Bakery staff and past visitors.